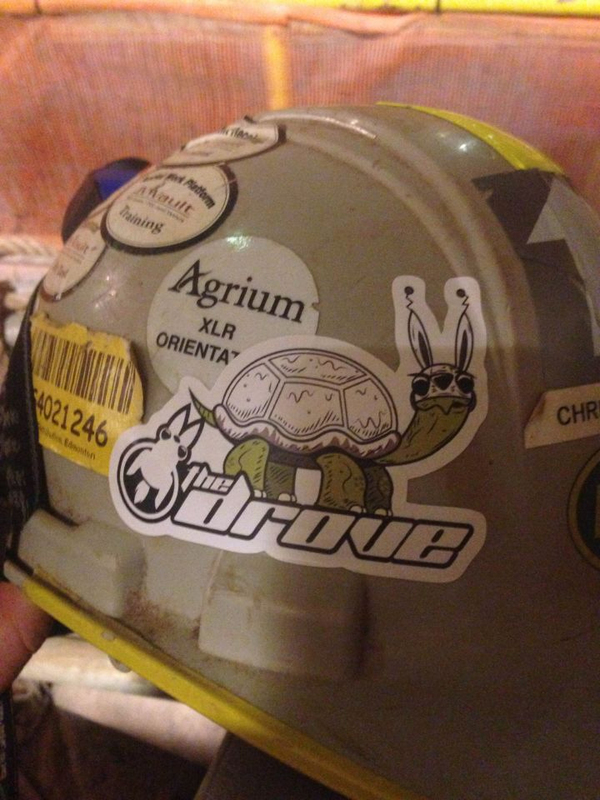 Chris is working hard and rocking out with a Drove Turtle sticker on his hardhat! Don’t fear, Chris, the Drove will protect you! This entry was posted in Friends Of The Drove and tagged comic, drove, hardhat, merch, sci-fi, the drove, thedrove, turtles, webcomic. Bookmark the permalink. ← “Dawn Of The Drove” T-Shirt On Sale NOW!